Tuna For Your Chicken - 3 Recipes! 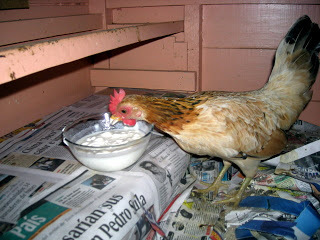 Have you ever given tuna fish to your chickens, if you haven`t there are many reasons you should start doing it now. Chickens LOVE tuna, I don’t know why, but it is good that they love it because tuna is very healthy for them to eat.It is a fun treat and sometimes mixing the treats you give to your chicken can be also fun. This is why we at the typesofchicken.com team decided to share with you some interesting recipes with tuna fish combined with other treats. The quantity depends on how many chickens you have, so make sure that how much tuna you put add twice as much yogurt. Star mixing them. While you mix sprinkle some sunflower seeds, sesame seeds or plain breadcrumbs in the mixture. Find a rotting piece of wood and pour the mixture all over it. This will help you avoid bullying in the flock and it will make it easier for your chickens to peck. Worms. Earthworms, meal worms and even fly larva or maggots. Depends on how many chickens you have but it should be one tomato per can of tuna. Get a tomato, cut it in half and then squish it as much as you can. Mix the squished tomato with the tuna and afterwards add some of the ingredients mentioned above. Once you give your chickens this treat, next time they will be able to smell it a mile away. A nice mixture of nutritious materials you can also add some grinded cucumber, sesame seeds or black oil sunflower seeds. The trick is in pressing the ingredients together and breaking them in to smaller pieces so they can mix better. This is a good treat to give when weather changes occur. 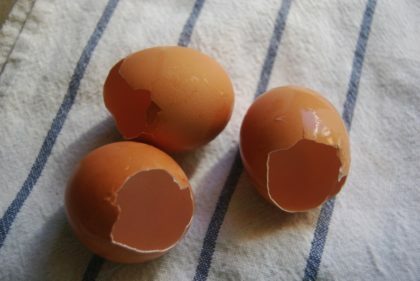 It will boost your chicken`s immune systems and will help them go through molting easier. Things that need to stay dry don’t go well with tuna fish. I also don’t like mixing tuna with any kind of fruit because I don’t like the smell of them combined. But it is ok to mix them, it will not do any harm. There are however, treats you should NOT give to your chickens and they don’t go well together with tuna fish for obvious reasons. Previous Article How to Protect Your Chicken Coop From Flies! I’ve heard that feeding fish to your chickens can make the eggs taste “fishy”. I don’t know if this is true because I haven’t tried it. I did read where someone raising tilapia fed handfuls of live young fish to their chickens (they have more babies than you’d ever want to raise) and that the chickens gobbled them up.